Happy Holidays from those of us here on the FQTQ team. To get in the festive spirit, we thought we would showcase one of the ‘christmassy’ nebulae out there. 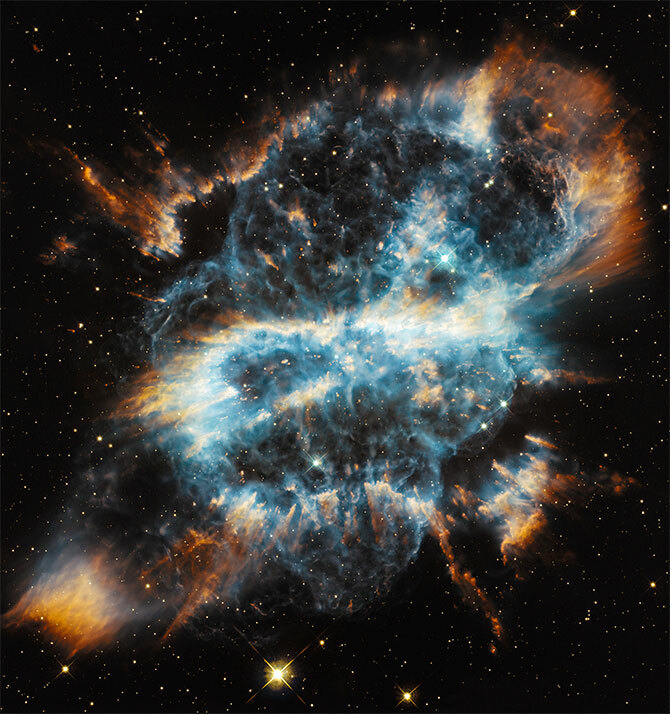 This particular one, curiously dubbed the “Christmas Ornament nebula” (also known as NGC 5189), is a planetary nebula that can be found approximately 1,780 light-years from Earth in the constellation of Musca. The planetary nebula stage of stellar evolution is one of the last few transitions a sun-like star experiences as the star begins to die. As the process of death culminates – resulting in the destruction of anything too close by – stars of this type begin ‘bleeding’ out material into the interstellar medium. This material is subsequently shaped by a number of different phenomena (like stellar winds), thus forming a brilliant nebula similar to the one seen here. Incredibly (and luckily for us), no two planetary nebulae have looked identical visually. Do you guys have any favorite deep space images that remind you of Christmas? Share them in the comments.